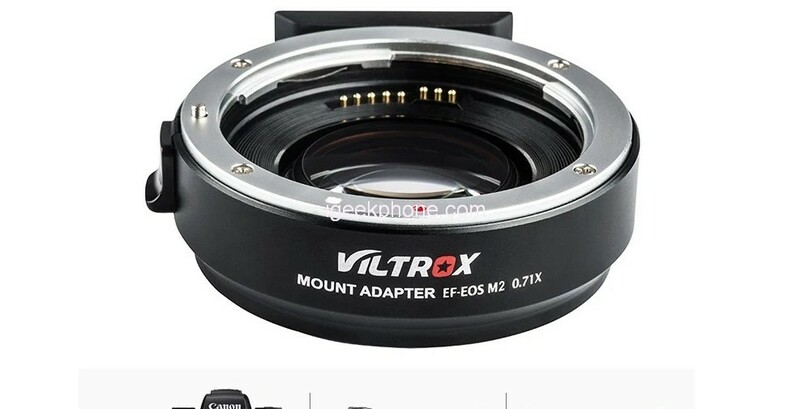 Viltrox EF-M2 mount adapter is designed to allow Canon EF-mount series lens to be used on M43 camera. Plus 0.71 based on the original focal length (equivalent focal length=focal length x0.71), which help enlarge 1 level aperture. 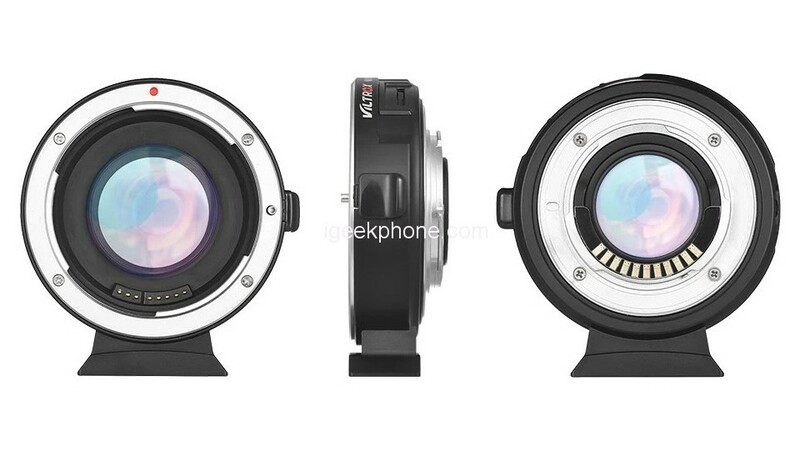 Build-in 4groups, 4pcs optical glasses, AF(autofocus) and adjustable aperture, etc. In other words, the viltrox adapters are a great competitor to the metabones speed booster that cost more then 3 times the price were the viltrox may even outperform the metabones. 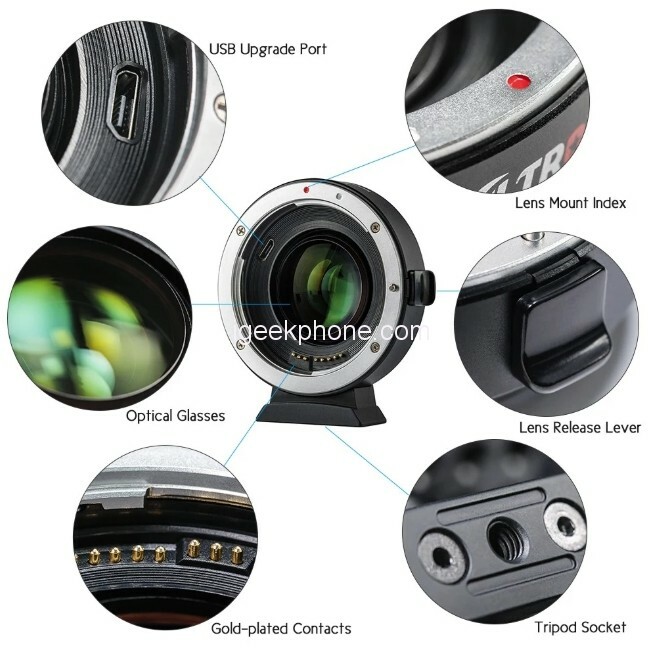 Viltrox EF-M2 lens adapter comes with the gold-plating contact, which can help to connect your Canon EF mount series lens to M4/3 Cameras, autofocusing perfectly. With the Viltrox EF-M2 Autofocus Lens Mount Adapter, you can use all your Canon EF-mount lenses on MFT system cameras while maintaining autofocus. In addition, the Viltrox increases the aperture of your lens with 1 stop and the focal length is reduced by a factor of 0.71. This way you can make your Canon lenses even faster and brighter. The optic in the adapter has four elements in four groups and reduces the image circle of your Canon lens by a factor of 0.71x. As a result, the angle of view of an MFT camera ultimately corresponds to a crop factor of 1.4. For example, Viltrox effectively changes a 50mm lens into a 35mm wide-angle lens. The Viltrox EF-M2 not only influences the focal length but also increases the light incidence of the lens with 1 stop. This gives you extensive possibilities to photograph with better light strengths and faster shutter speeds. 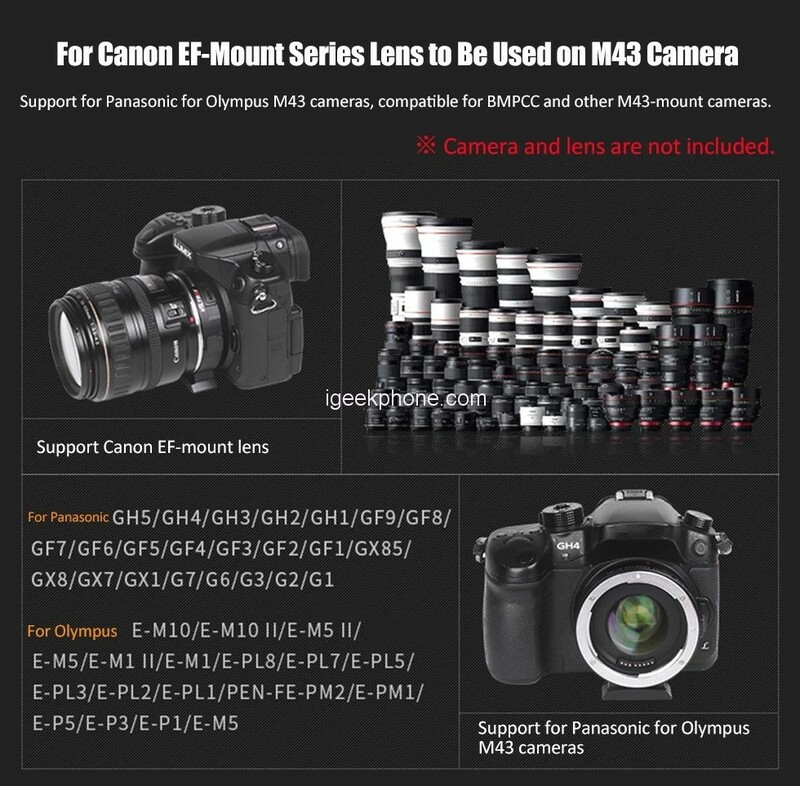 In addition, you adjust the aperture easily and quickly with a setting button on the top of the EF-M2. 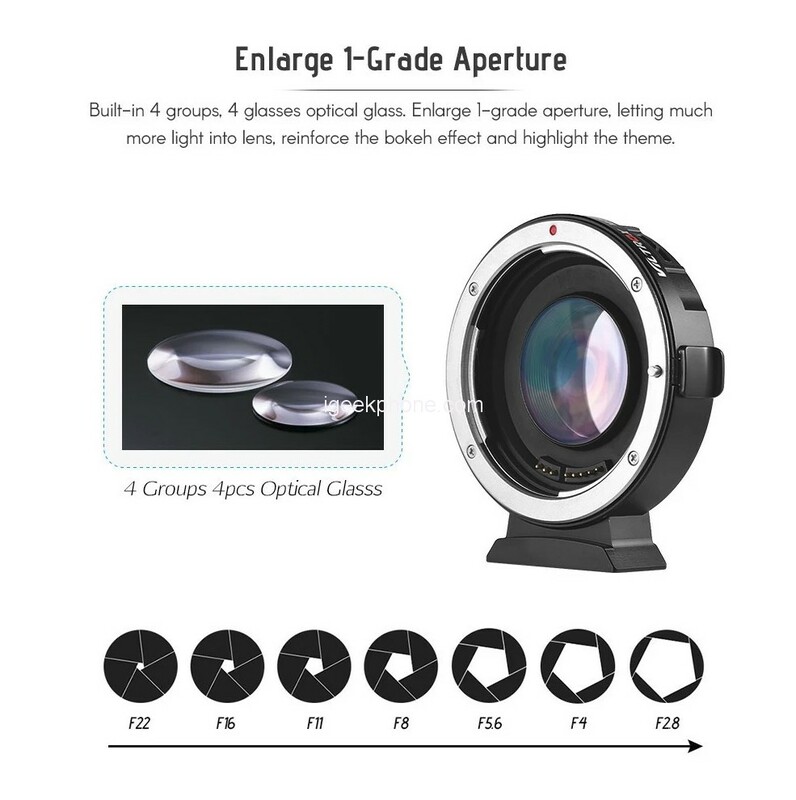 Designed with internal aperture motor, you can adjust the aperture from camera end directly to control the lens’ actual aperture. Made of aluminum alloy; convenient for installation; powerful and stable; Gold-plating contact, excellent transmitting effect. Equipped with USB interface, can realize software upgrade. Can perfect new functions of the lens mount adapter and fix bugs according to follow-up upgrades.